Ranch horse pleasure, also known as ranch riding, was released as a class in the American Quarter Horse Association back in 2012. The class quickly became popular and was picked up by multiple other breed associations. So, what is ranch horse pleasure exactly? In its simplest form, ranch horse pleasure takes us back to the foundation of the working ranch horse. This class strips away all the glittering saddles and show shirts, the neatly banded and polished horses, and allows for the natural beauty of the horse and rider to shine through. The class is meant to exhibit the versatility and natural movement of a working horse. 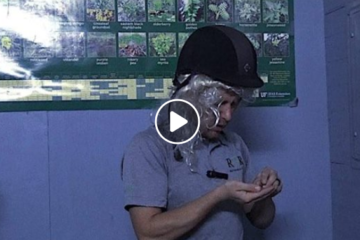 The class takes horse and rider back to the basics. The focus is no longer on slow, nose-to-ground collection, but rather having a natural, flowing gait. In the American Quarter Horse Association, the ranch pleasure is a pattern class that includes extended gaits, stops, a back-up, turns, and walking and/or side passing over logs. All three of the horse’s gaits should have more forward movement and the horse should hold a more natural head-set. The horse and rider should demonstrate smooth transitions between all the gaits and always maintain a controlled, forward movement. All these aspects reflect the original purpose of the ranch horse; to have the endurance and versatility to work on a cattle ranch all day long. Ranch horse pleasure has also become extremely popular because it is economically friendly and allows for horses of different disciplines to be entered. You do not have to invest money into a nice, silver show saddle and bridle and a sequin-covered show shirt. In fact, according to the AQHA rule book, any type of silver décor is frowned upon, and you are not allowed to band your horse’s mane, polish their hooves or put in a tail extension. For anyone who knows the western pleasure world, this saves you quite a bit of time and money. 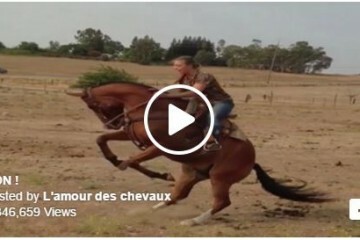 And any style of working horse such as cutters, reiners, ropers, etc. can enter into the class. This new class has opened a whole new door in the working ranch horse world, and has seemed to boost show attendance quite a bit. It is refreshing to finally have a class that almost anyone can participate in, and where it is actually accepted and expected for your horse to move in his own natural way. I had never heard of such a thing as a ranch horse pleasure class until I started riding on the University of Findlay’s Ranch Horse team. I grew up showing among all the glitter and gold in the Western Pleasure world, but after a while I grew bored of the same-old horseshows. I decided to join the Ranch Horse team so that I could do something different and learn new styles of riding. One of the biggest classes our team competes in, among the cutting and the reining, is the ranch horse pleasure class. Written By Lexi Dasson. 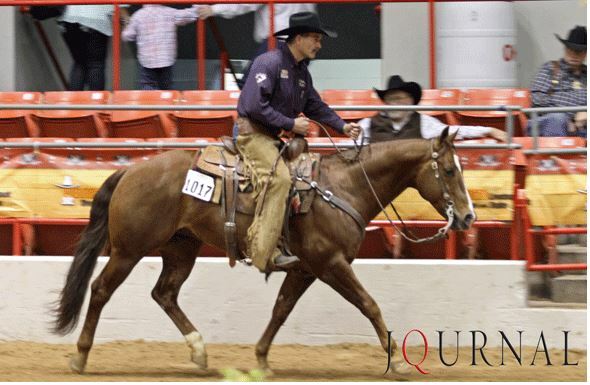 Photo Credit AQHA Journal. 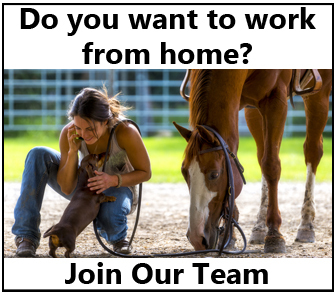 Share this on Facebook if you love Ranch Horse Pleasure! Western Extreme Trail Course Make Everything Else Look Easy! Nice article, however hard to believe the writer is a horse person who doesn’t know a horse goes through a “gate” and walk, trot, and canter are known as “gaits”. Otherwise enjoyed the write up! I did not notice this typo anywhere. I checked back and all my “gaits” were correctly spelled. Can you point it out to me? Thank you! I fail to see where the author writes gates instead of gaits. Are we reading the same article? According to the AQHA rule book, via aqha.com, “(3) Trimming inside ears is discouraged.” There’s a big difference between the two. If the class did not allow ears to be clipped on the inside, that would prevent those entering the Ranch Horse Pleasure from cross entering in classes such as showmanship, horsemanship and performance halter. It was a typo in the wording. That is the way I had meant to word it. I should have edited the piece one more time but considering I am a full time college student who also works everyday and has finals this week, I did not have the time to do so. Thank you for the critique. Most horses entered in showmanship, pleasure, equitation are groomed for such classes and are therefore not eligible for ranch horse. This class was designed to bring these horses back to their roots. Hoof polish, clipped ears, banded manes and fake tails were not used on the ranch therefore they have no place in this class. Most horses in the fore mentioned classes do not enter ranch horse due to these parameters. I do disagree. 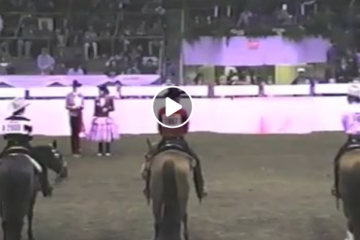 I show a ranch horse who I also show in showmanship. His long mane is banded for showmanship and taken out for ranch horse. There are several that cross over from ranch to pattern classes. Silver is allowed and is not frowned upon, there’s a big difference between “cowboy” silver and a Harris silver western pleasure saddle. Some of the most beautiful silver work out there is worn by ranch horses across the US and in the show pen. Unfortunately the wording in the handbook is confusing to those who are not familiar with working ranch equipment and only with show equipment. Decorative silver is NOT allowed. Only working tack is allowed in these classes. I have yet to see anyone enter the class with a saddle with decorative silver. The author is correct. We enter this class frequently and see many riders with tasteful, decorative cowboy style silver on saddles, breast collars and headstalls. Again, not Western Pleasure silver coated saddles and headstalls but conchos, spots, buckles and a few other trims. Even the photo used in this article shows a headstall with decorative buckles and conchos. 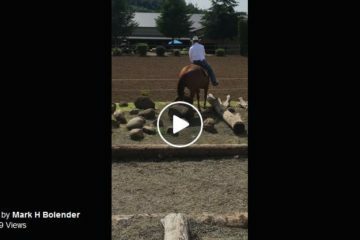 We also cross enter in halter, showmanship & horsemanship with our ranch riding horses and so do many others who show at the amateur and youth QH World Shows and even more so at local QH shows. Their horses are groomed appropriately for those classes including the use of artificial tails and washable hoof black for those classes. Also, AQHA renamed this class Ranch Riding beginning in 2015 to further differentiate it from the pleasure class. Fabulously well written article about this exciting new class! Can’t wait until spring and the new horse show season! We have not shown for over 20 years when our old stallion died at age 37, last year we bought a lovely gelding and after reading your article on ranch horse pleasure this sounds like something we would like to do, Ken 66yrs, Eileen 68yrs Webb. I am excited about this class!! written…. Thank you for sharing your information! !